Brad Schoenfeld (PhD, CSCS, CSPS, FNSCA) is a renowned fitness professional and an authority on body composition optimization. In addition to winning numerous natural bodybuilding titles himself, he is also the 2011 NSCA Personal Trainer of the Year, the recipient of the 2016 Dwight D. Eisenhower Fitness Award, a regular columnist for Muscular Development magazine, has had over 100 peer-reviewed scientific papers published, has himself been featured in a variety of health-and-fitness-oriented magazines such as Men’s Health, Ironman, and Muscle and Fitness (just to name a few), and has authored a number of books, including The M.A.X. Muscle Plan and the Science and Development of Muscle Hypertrophy. 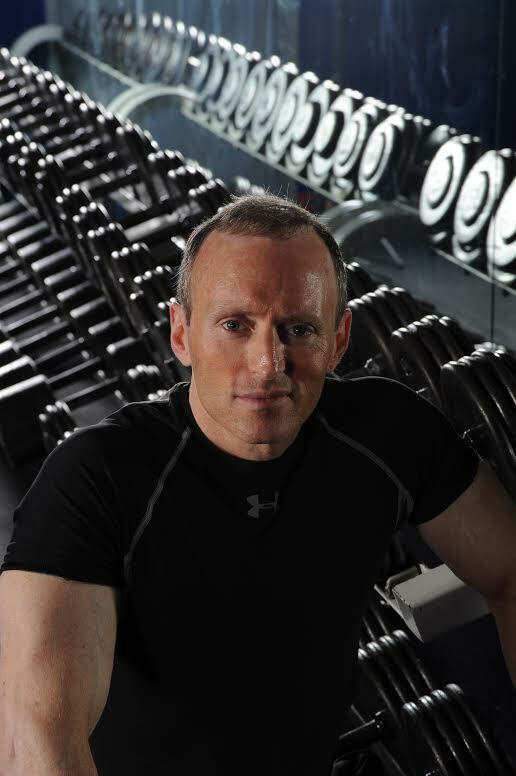 He currently serves on the editorial advisory boards for several journals, such as the Journal of Strength and Conditioning Research and Journal of the International Society of Sports Nutrition, and is an assistant professor of exercise science at Lehman College in the Bronx, New York, and is the head of their human performance laboratory. Muscle protein synthesis, intake frequency, periodization, de-loading, and more! – Relatively low training frequency (working out twice per week on a split is all I can manage). I still believe the recovery aspect is highly important. – Controlled cadence, minimising momentum. I wouldn’t say that superslow is a necessity at all though. Maybe 3/3 seconds is quite sufficient (I’m currently doing 5/5). – I also take on board James Fisher’s point that workouts should not go beyond 45 minutes due to cortisol build-up. – Moving relatively quickly between sets: ie rest of 30 seconds to a minute to catch breath. – So I guess this means focussing only on a few core compound exercises in each workout. 3 sets of each exercise (as advocated in another article on Brad’s site). One set heavy, next 2 light with higher reps. One set to failure (either first or last set of each exercise), other 2 sets to near failure. – This could either be a reverse pyramid workout a la Martin Berkhan (looks like his clients results are explained by science after all!) or even a regular pyramid workout. One exception to Berkhan’s RPT scheme would be to lower the weight more on the final 2 sets of each exercise in order to push for higher reps. Thank you for the comment Rob. I agree with all of your points, and think that whilst I believe that HIT is a more effective approach to stimulating hypertrophy, it would be interesting to experiment with Brad’s/Martin’s approaches. Yes, it would be great to read their response, but they are very busy lads! Many (most?) of us came to HIT after trying other forms of training. That was a nice interview. The most interesting thing for me was in the discussion on single set versus multiple set routines, where he pointed out that there is a dose/response relationship between the amount of exercise and the level of signalling hormones (myokines?) that trigger adaptations. That probably wasn’t known when Arthur Jones first hypothesized that one set to failure was all that was needed to ‘flip’ the growth switch. Given that extra information, it seems logical to expect that there would be some kind of relationship between volume and the amount of adaptation, though not necessarily linear. Thank you Harold. Yours is an interesting observation. I’m really glad that you enjoyed the interview. Very interesting interview! I love this podcast! Where exactly does he say this? Can’t seem to find it. I honestly think that people like Brad have too much personally invested in the high volume approach to strength training . All this ” diplomacy ” needs to be set aside when it comes to the truth and the facts regarding exercise as far as i’m concerned , but that doesn’t mean we can’t respectfully disagree . The problem with peer reviewed research as far as i can tell is that there is research available that supports almost any conclusion you want . And that was the conclusion of a paper i read on the subject of peer review research a few years back . Now that doesn’t necessarily mean we should reject all research on the subject of strength training but we must be cautious and always temper what we read with logic and reason as well as personal experience and common sense . People seem to have a very hard time admitting that they may in fact be wrong about this particular subject or any other for that matter . And i suspect a lot of it has to do with ego and credibility . It’s not an easy thing to admit to one’s self that what they’ve been practising for years is just plain wrong and/or suboptimal . The other is credibility because people may feel that they’ll lose ” face ” if they admit to being wrong . But i feel that individuals may gain more credibility as well as displaying some ethics by putting your ego aside and stating the facts and truth of the matter in this regard and others as well . i have nothing personally invested in “high volume” training (whatever you propose that may be). I would be happy to change my opinion if evidence presented showed this to be the case. It doesn’t. In fact, an objective look at the research can only determine that the overwhelming body of evidence supports higher volumes for maximizing muscle development, as I outlined in the interview and as was shown in our recent meta-analysis on the topic. And as far as admitting to being wrong, you couldn’t be more off-base in your insinuation. I’ve readily admitted I was “wrong” on many topics including repetition ranges, rest intervals, and protein timing. I actually heavily promoted the importance of protein timing in one of my books, and have now gone on record saying I no longer believe that to be the case. Thing is, changing my opinion requires evidence, which is sorely lacking for those who feel HIT is as good or even superior to higher volume training for muscle development. It’s a viable strategy for those who are time pressed and can certainly produce nice results; but if you want to maximize growth, higher volumes are a necessity. As a HIT follower myself for the last year and a half I gained decent results but nothing spectacular. I recently read Brad’s book on the science of hyoertrophy and to be honest found the science more robust and convincing than that propounded by the HIT guys (sorry Doug!) Rather than just putting forward convincing theory, Brad’s book shows what actually worked in controlled trials. So whilst I remain an advocate for what I would describe as abbreviated ‘time efficient’ workouts, I am going to trial a new approach for a few months. I’m going to give Martin Berkhan’s ‘Reverse Pyramid Training’ a trial – which advocates 3x sets of only a limited number of compound exercises (1st set only to failure, subsequent 2 sets with descending load and higher reps). Like HIT, this workout can be performed in only 30 minutes, but frequency is a bit more at 3 x per week (although each body part only worked once per week). Brad – what are your thoughts on this approach to ‘time efficient exercise’ compared to 1 set to failure HIT? Many thanks, Rob. Rob: I am not familiar with the program you’re referring to so can’t comment specifically. I’d just say that “higher” volumes are necessary to maximize gains. As a general guideline, ~10 sets per muscle per week would be a good starting point as determined in our meta-analysis. There is quite a bit of inter-individual variability as to what a person needs to maximize individual gains, so this would need to be tweaked based on progress. I’d also say that there is a good rationale for including brief (~4 week) periods of an “over-reaching phase” where substantially higher volumes are employed to bring about supercompensation. This has not been tested in the literature, but I have used it personally with high level physique competitors with excellent results. In general, in your studies and meta-analyses, what are the ages of the subjects you study, that show HV training approach is superior for maximal gains? In othet words, at what point in a recreational weight lifter’s life would HV training be a detriment rather than a benefit? Surely, you wouldn’t advocate that a 40-64 yr old do 21 sets at => 80% 1RM per session 3-4x per week? Or would you? Appreciate you sharing your POV Brad. Hello Neal . I wrote a response to Mr Schoenfeld’s response to my comment but it didn’t appear in the comment section . In my disqus account my comment was marked as spam . I was just challenging some comments that Brad made in his response to my initial commentary and hope that my comments were not seen as rude or inflammatory as that was not my intention . Just interested in friendly exchanges is all . Hi Enlite – sorry it’s taken me a while to approve the comment you mentioned. I’ve now approved and it should show. Thank you i appreciate that . You say that the preponderance of the evidence supports higher volumes of training in order to maximise muscular growth / strength , but i think we must ask ourselves what constitutes evidence ? When one examines and scrutinises the research which claims higher volume training to be superior to lower volume training one finds it to be illegitimate . The methodologies and the formats involved in these particular studies and the conclusions that are arrived at are questionable to say the least . I’ve read plenty of these studies that claim higher volumes of training are superior to lower volumes of training but upon closer examination of the variables involved they’re simply invalid or at the very least highly questionable . As far as the meta analysis goes with respect to formulating conclusions based on them they are very suspect and controversial . Ralph Carpinelli wrote an excellent paper on the subject as well as critiquing Mr Krieger’s conclusions that higher volumes of training are superior to lower volumes . The major problem that was sighted in the paper are once again the preconceived notions and biases of the individual conducting the meta analysis , which can distort the perceptions and objectivity of the individual in question . The other major problem is the methods and variables involved in the studies which again upon closer scrutiny are faulty . When one takes into consideration the nature of the so called evidence in favor of higher volumes of training to maximise muscle growth and strength i fail to see how one can definitively conclude that higher volumes of training are superior to lower volumes . Arthur Jones once said that you can either train hard or you can train long but you can’t do both , and that intensity / effort and volume are inversely related to one another . The harder the exercise is the less you will be able to tolerate . That is a fact and not open to opinion or interpretation . Even if there was valid evidence that higher volumes of training produced better results which there is not , but if there was it still wouldn’t be worth it when one considers the issue of time investment and most importantly cumulative damage and wear and tear on the body . I did insinuate that you may be biased in terms of your stance on this matter but i’m not stating that for a fact as i don’t know you personally nor was i singling you out in particular . We’re all human and subject to biases and preconceived notions about many things and i try to constantly check my own and come to logical and sensible conclusions about things . HV training is for Young Men and Women, and im general adults with “superior” genetics and recovery ability. When you consider other factors, less than HV is more appropriate. Not to mention that over the course of a decade the amount of lean muscle you can naturally add is limited. So the question is, how old are you when you start to move towards your goal of obtaining maximum muscle and how quick do you want to get there? If you are starting at middle age, ~40-64, and aren’t an “elite” genetically, then HV training is going to be difficult anyway; not to mention that your recovery ability and speed at which you can grow muscle has been reduced. Comsiderin that a non elite recreational weight lifter can expect to add only a certain amount of muscle over the course of say five years anyway, which approach is the one that they are likely to stick with for those five years? And that is a key question that isnt addressed by your interview. But maybe, that’s not your sticht. Perhaps your thing is how to get young elites to gain as much as possible before a competition.